When it comes to jewelry on the homestead, you have to think about your safety, your animals’ safety, and your happiness, in no particular order. Fifteen years ago when we moved out here from the city, I loved to wear jewelry all the time. That changed one day when a goat tried to rip off my necklace. Amazingly, I was able to rescue the necklace before she broke the chain. That would have made me sad. But even worse, gold is not part of a healthy diet for goats. I have never had to deal with “hardware disease” in any of my cows or goats, and I’d be a happy homesteader if I never had any personal experience with that. After that story, my first point should be obvious. Don’t wear necklaces. Dangly earrings can also be ripped from your ears by curious animals. I have pierced ears, and I only wear studs. If you wear a watch, bracelet, or fitness tracker, it should not be dangly. You don’t want it to get caught on fencing or power tools. And from seeing a former intern try to milk a goat with dangly bracelets, I can tell you that it’s really annoying. She wasn’t wearing them on day two. Rings can be uncomfortable. I quit wearing my engagement ring and wedding band when milking goats. The ring would spin around on my finger and the diamond would wind up poking my neighboring finger. It was very uncomfortable. When my husband realized I was not wearing my fancy rings any longer, he bought me a simple gold band to wear around the farm. 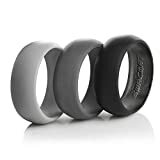 If something happens to it, I will probably replace it with a silicone wedding band. What could happen to a gold wedding band, you ask. Rings can be dangerous. One day when my husband was working outside, he felt something stinging his ring finger. He looked down to see a wasp! Within minutes the finger started to swell so badly that his finger was going numb as the ring cut off his circulation. He wound up grabbing a pair of bolt cutters and cutting the ring to get it off his finger. 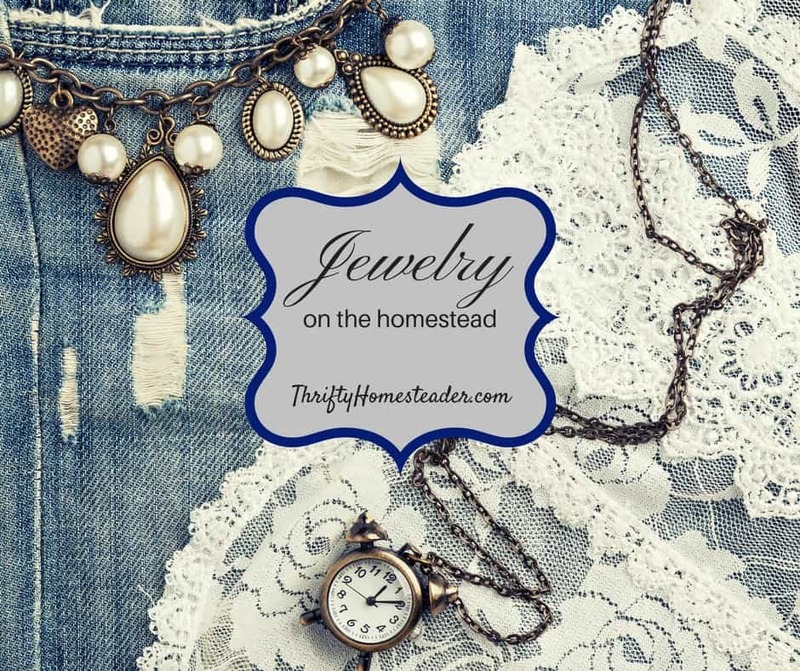 Do you have any stories or suggestions to offer about wearing jewelry on the homestead? Share your ideas in the comment section below. This post contains affiliate links. That means that if buy something from Amazon after clicking on a link in this story, we’ll get a small percentage of the sale while you’ll pay exactly the same price as you otherwise would. Thanks for your support! I can only wear stud earrings, no other jewelry. Work on the homestead is not glamorous, so why risk damage to yourself, your animals or your jewelry?